On the Cover: Glyphosate-resistant waterhemp (Amaranthus rudis Sauer), one of the most difficult-to-control weeds, emerging in Nebraska. Waterhemp can emerge from May to August in Nebraska, making it difficult to control. Preemergence followed by postemergence herbicide programs with effective modes of action provided season-long control of glyphosate-resistant waterhemp in glufosinate-resistant soybean production fields. For more information, refer to article by Jhala et al. Amit J. Jhala, Lowell D. Sandell, Debalin Sarangi, Greg R. Kruger, Stevan Z. Knezevic. January 2017. 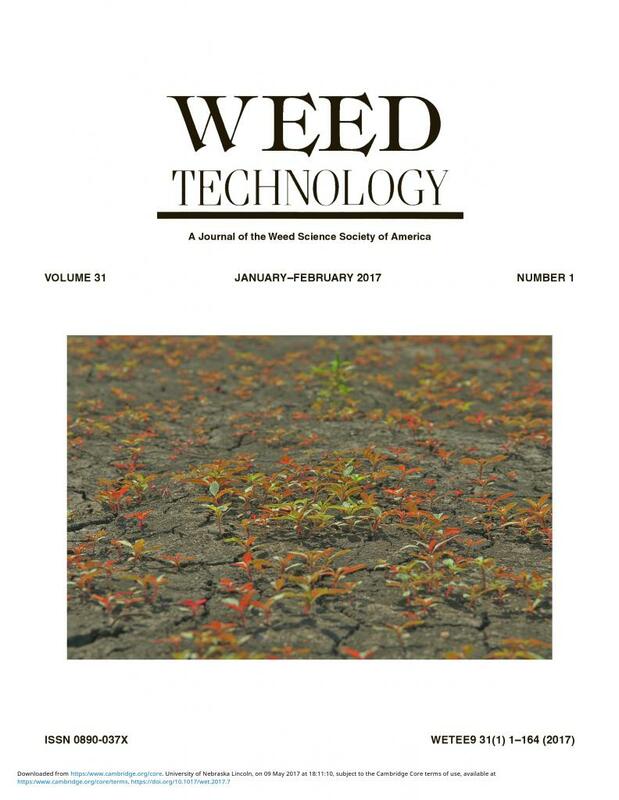 Control of Glyphosate-resistant Common Waterhemp (Amaranthus rudis) in Glufosinate-resistant Soybean. Weed Technology 31(1), pp. 32-45. Amit Jhala is an assistant professor in the Department of Agronomy and Horticulture. Debalin Sarangi is a postdoctoral research associate in the Department of Agronomy and Horticulture. Greg Kruger is an associate professor in the Department of Agronomy and Horticulture and the West Central Research and Extension Center. Stevan Knezevic is associate professor in the Department of Agronomy and Horticulture and professor in the Northeast Research and Extension Center.